Ed founded ClientFirst Wealth Management, LLC. in 2007, after more than 23 years in the wealth management industry. 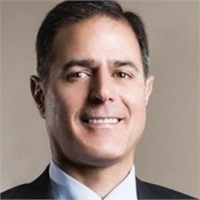 Prior to launching ClientFirst, he spent 6 years as a Portfolio Manager and independent Branch Manager with Raymond James Financial Services, Inc., 6 years as a Vice President and Portfolio Manager with Merrill Lynch, and over 11 years as a financial advisor and fixed income Portfolio Manager with Stephens, Inc. Designated as a Certified Financial Planner and Chartered Financial Consultant, Ed holds a Bachelors of Science in Business Administration from The Citadel and earned his MBA from the University of Arkansas. He has had articles published in numerous publications, including Barron's magazine. Ed is a member of the National Association of Personal Financial Advisors (NAPFA). At ClientFirst, Ed is president and senior portfolio manager.